Both fans on offering 1.5kW. Light show (cycles through the colours). 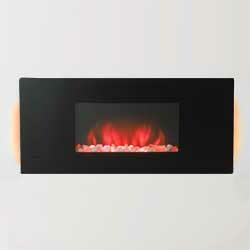 Fuel Bed - Comes with a mixed box of opaque glass stones and natural cararra stones.